…was Pascals Decision Right or Wrong? Both. When it comes to picking the strategically correct card for a deck, the choice easily whittles down to one or two cards. But when you add card value to the mix, only the player drafting knows the correct card to pick. You can be rich, poor, have foil constructed deck preference, non-foil constructed deck preference, need one more to make a playset, or no need to collect. All are viable reasons to pick a valuable card. 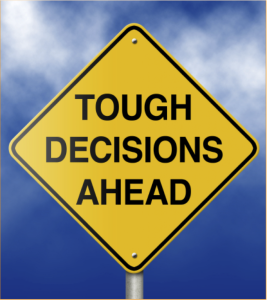 With the variable of price, any opinion besides the drafter is irrelevant. This got me thinking, where is the threshold between picking the money rare and shipping the money for a main deck playable? If we can’t calculate a system, what guidelines can be applied to turn a grey answer into a black and white answer? Modern Masters 2015 has tested this threshold more than any other set (because pulling a chase mythic in the first Modern Masters felt next to impossible). I sat down Saturday morning to receive my sealed pool for the GP Vegas main event. With no byes, I opted not to purchase the sleep in special that would exclude me from passing my registered pool. I remember thinking to myself, “Please, don’t open well. 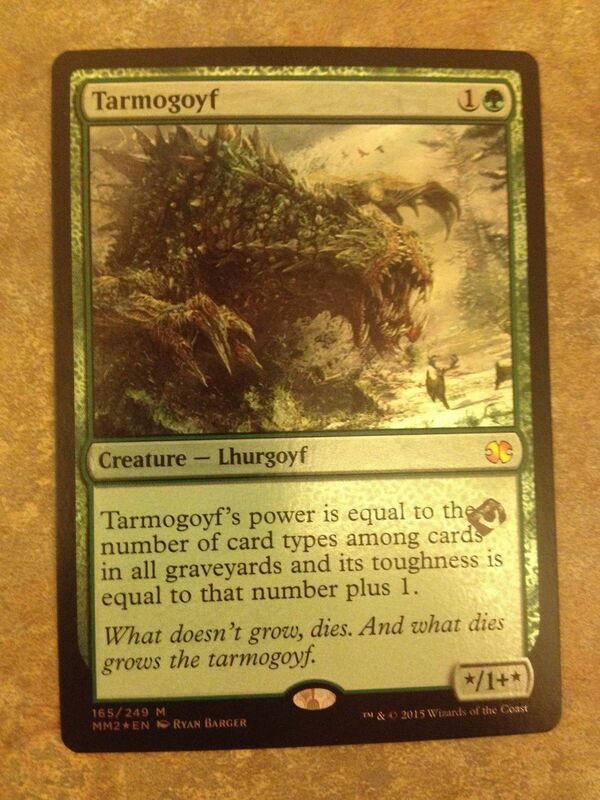 I don’t want to be forced to drop.” I told myself I would only drop if I pulled a foil Tarmogoyf no matter what the pool was. I came to play. Also, it’s frowned upon to drop before passing pools but that’s another topic for another day. During the first draft of day two, I recall thinking up a similar sentence before looking at my first bare booster pack. I dodged these hard decisions all the way up till the second draft. Thumbing to the back I see an orange Modern Masters icon surrounded by a blue border. 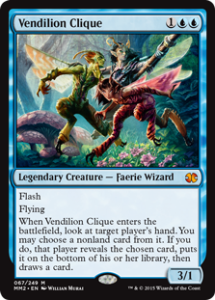 It was a Vendilion Clique. My heart somehow fluttered and sank at the same time knowing it was time for a hard decision. Thankfully, Clique is playable in limited, but Spectral Procession was the card in the pack I’d rather start the draft with. Seeing no other playable white in the pack and only mediocre cards in the other colors, I decided to take the Clique and force my neighbor into white. The next pack had two tier 1 white cards so I took one and cut his white the rest of the draft. Obviously, my decision happened at the beginning of the draft and was also a playable card in any deck that plays blue but soon after blue went dry and I settled in W/B Spirits (my favorite archetype). The point of the story is…I broke my own rule. 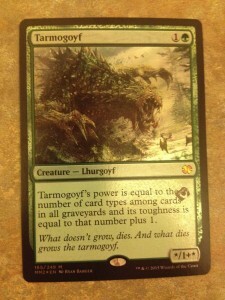 I told myself the only thing that trumps taking an off color money card is a foil Tarmogoyf. Some say rules are made to be broken, but I still feel going into a Modern Masters 2015 draft with a set of rules can only be beneficial to not only save time but also help keep a clear conscious for the rest of the tournament. I will only take cards than surpass the first place prize. I will pick the best card to benefit my limited unless it’s a card I need for a Modern constructed deck. As silly as it might seem to make rules for picking or shipping money cards, it really does help me enjoy my draft experience and overall minimized my feeling of regret when you lose to land screw in the first round. The money card is the #2 pick in the pack, like my situation, and its playability helps justify the pick. 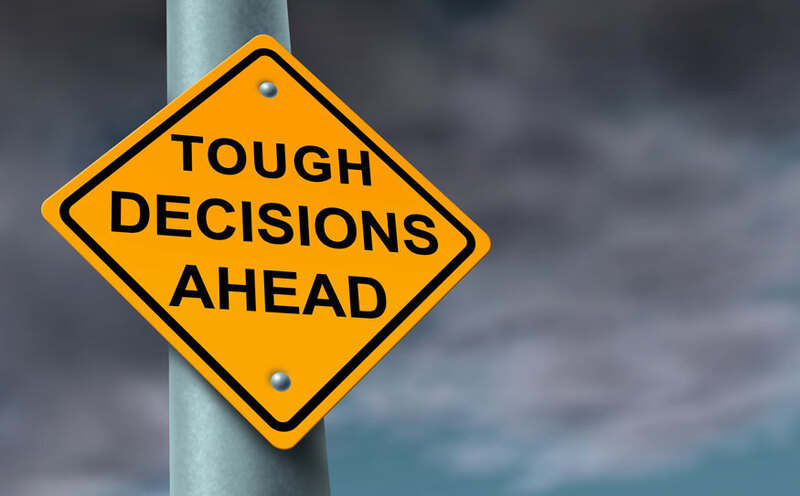 Only picking the best cards for your limited deck to give yourself the best shot at reaching a goal (winning your first draft, prizing at a GP, earning an invite to a Pro Tour Qualifier (PTQ) or winning an Invitational Qualifier (IQ)). Could open a door to an archetype you like. Ex: Mostly green with a few blue picks pack one for graft and opening an Eldrazi and switching to G/R ramp and looking for Savage Twister and basic land cycling commons. We all want to pull money rares AND win the draft. Sadly, the booster packs don’t cater toward that type of lifestyle. 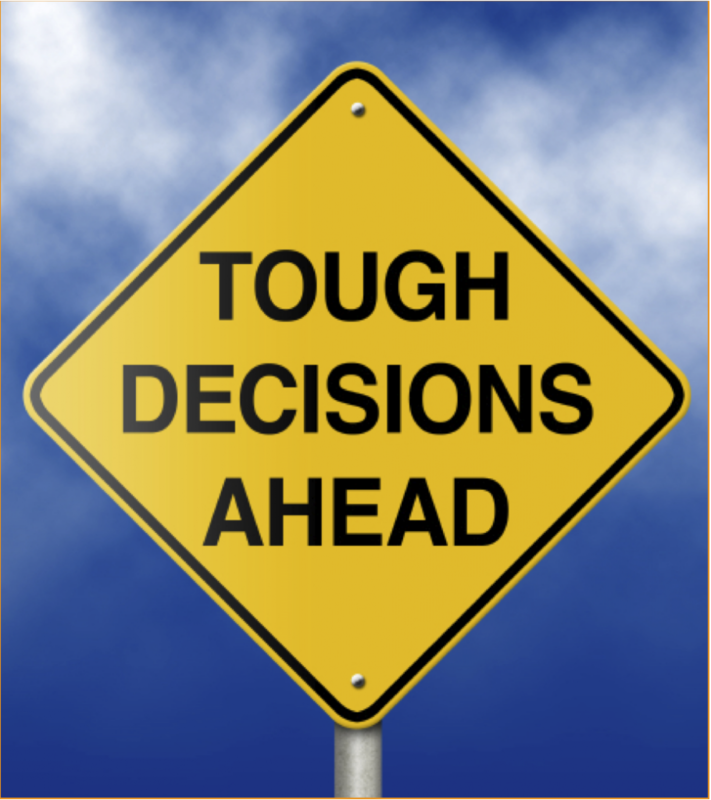 Drafts are already full of tough decisions. The more valuable a set it, the more decisions are added to the pile. Having some list of guidelines before I sit down at the table helps me enjoy the game, draft experience, and the opening of each lottery ticket aka booster packs. TLDR: Rules/guidelines/preparation are meaningless if when given the opportunity to act on such, the choice is different. Prepare for future choices, but also prepare to follow another choice in the moment. Hey, good ideas in the article, but wandering and unfocused.